This is an exciting opportunity for highly motivated and result-driven professionals who are citizens of East African Community Partner States (Burundi, Rwanda and South Sudan) to apply for the following position tenable at East African Court of Justice. Perform any other duties as assigned by the Registrar. At least 10 years of experience in the management of Court functions, five (5) of which should be at senior management level. 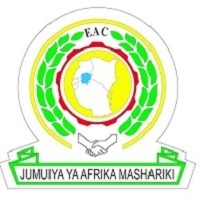 This is an exciting opportunity for highly motivated and result-driven professionals who are citizens of East African Community Partner States (Burundi, Rwanda, South Sudan and United Republic of Tanzania ) to apply for the following position tenable at East African Community Legislative Assembly . Provide advice to the Speaker and Members on legislative procedures. This is an exciting opportunity for highly motivated and result-driven professionals who are citizens of East African Community Partner States (Burundi, Rwanda, South Sudan and United Republic of Tanzania) to apply for the following position tenable at East African Community Legislative Assembly . The Hansard Editor is the overall in charge of the Hansard department who will control and manage the department for effective and efficient discharge of producing accurate and timely Official Report (Hansard) of the proceedings of the East African Legislative Assembly and of the Committees. He/she is responsible for the entire report production process from Recording of the proceedings to Editorial, printing, publishing, Publication and Reporting. Bachelor’s Degree in Economics, Social sciences or related fields. Minimum five (5) years relevant work experience in the field of research in a busy and reputable organization. Post graduate qualifications in research methods and knowledge of computer based statistical packages will be an added advantage. This is an exciting opportunity for highly motivated and result-driven professionals who are citizens of East African Community Partner States (Burundi, Rwanda, South Sudan and United Republic of Tanzania ) to apply for the following position tenable at East African Community Legislative Assembly. Record proceedings of the Assembly. Transcribe recordings of the Assembly's proceedings from audio recordings. Compile the transcripts from a series of recorded materials during Sittings of the Assembly. Conduct the first edit of transcripts as per the requirements of the Hansard Reporting Guidelines. To compile a contribution log of proceedings. Monitor the use and ensure maintenance of all sound/public address systems. A Bachelor’s Degree in Mass Communication; Linguistics or a related field. Minimum working experience of five (5) years as a Hansard Reporter/Assistant Editor or Court Transcriber.